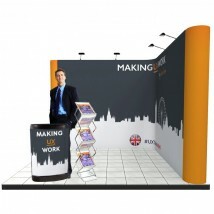 Save time and money by choosing one of our exhibition stand pop up kits. We have carefully chosen the equipment based on our experience so you don’t have too. 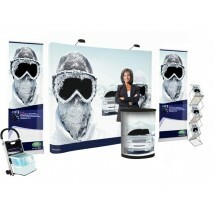 Investing in one of our pop up display signs kits is the simplest way to buy everything you need to steal the show. 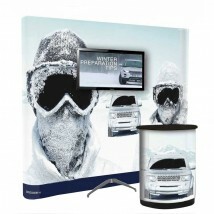 If you want to add other items to the kits simply call a display advisor on 0844 800 1020. 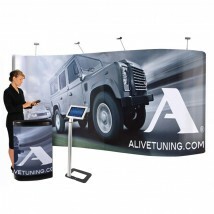 Integrated monitor stand - holds screens up to 60"
At Discount Displays we have been involved in exhibition display for over 30 years. 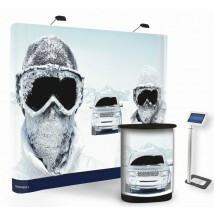 We have used that experience to put together some pop up exhibition stand bundles and special offer. 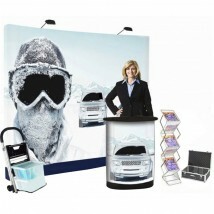 The bundles comprise the most popular exhibition equipment bundled together to give a saving of up to 45% off the individual item prices. 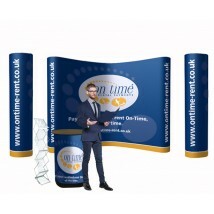 As well as the money you will save time you only need to place one order and get everything you need to make your next show a success. 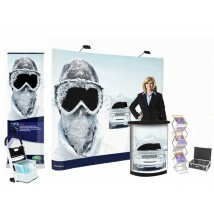 All these kits are based around our best selling pop up exhibition stands of various sizes to meet different spaces. Handy step and hand trolley combinations, which help you, transport your equipment to site the climb up and hang your graphics. Literature racks. 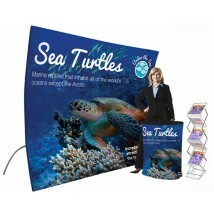 Our best selling compact folding literature rack is included with a carrying case. 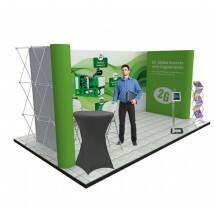 Some kits also include freestanding tablet holders for interaction with your visitors. Seating solutions are either provided by folding chairs which can be combined with folding tables or our popular fold up stools used with our simple cocktail table to make a quick meeting point. 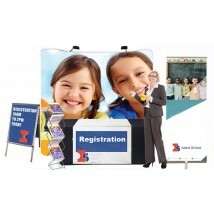 All of these are quality products designed for exhibition use. 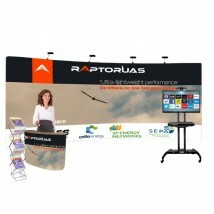 Two of the pop up display bundles also include TV monitor stands for flat screens up to 60”. These are just some of our best selling ideas. We have thousands of other product in our store so if you don’t see exactly what you want please browse around or call contact our display experts on 0844 800 1020.